Bob Moore of Bob's Red Mill has donated $100,000 to restore Butte Creek Mill, which was devastated in a fire on Dec. 25, 2015. Flour milling is near and dear to Moore's heart. 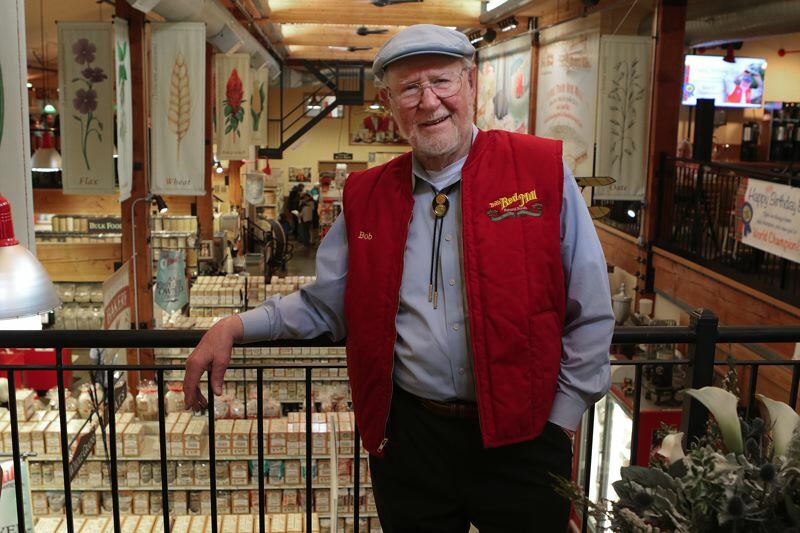 "I've had a mill of my own for 45 years, and I'm certainly pleased to help with the restoration of the Butte Creek Mill" he said. The money, along with other donations from throughout the region, will go toward the Restore, Rebuild, Reconnect campaign to ensure the Butte Creek Mill and the Ice House are once again places where families, community members and organizations can visit to purchase Butte Creek Mill products and enjoy two unique pieces of history. Until 2015, the Butte Creek Mill in southern Oregon, on the National Register of Historic Places, was the only water-powered grist mill west of the Mississippi River commercially grinding flour. The mill operated in the same manner as it did when it was built in 1872. It is estimated that 30 percent of the structure remains viable, including the original French grinding stones. Advocates say the surviving portion of the original structure makes it possible for the mill to maintain its place on the National Register of Historic Places. The Butte Creek Mill Foundation was granted its 501(c)(3) status in early 2017. To date, the foundation has raised over $400,000 in cash and over $500,000 in in-kind donations. In addition, the Timber Framer's Guild has committed to rebuilding the mill as its 2018 community project. Once the mill is rebuilt, the foundation will oversee the operation of it. For more information or to donate, visit buttecreekmillfoundation.com or call 541-690-5356.